Below are the best secured and unsecured credit cards for bad credit scores. These offers can help build or rebuild a low credit score, and many require no deposit to apply. Our reviews follow strict editorial guidelines and are updated regularly. See if you Pre-Qualify in less than 60 seconds—without affecting your credit score. It's fast, easy, and secure. Looking for an unsecured credit card, but have a poor credit history? 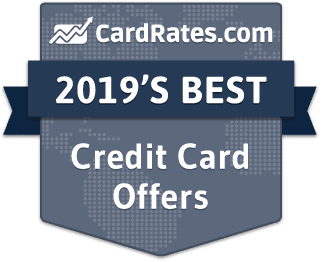 The following summary table breaks down all the top credit cards for people with a low credit score, including secured, prepaid, and unsecured offers. Simply click the name of the card that interests you to visit the issuer's official site and apply online. Although having bad credit can be difficult — a poor credit score can impact everything from getting a credit card to getting an apartment — it isn't a permanent problem. With time and hard work, bad credit can be conquered. The first step is learning all you can about bad credit and how to defeat it. 1. What Is a Bad Credit Score? A so-called “bad” credit score is a score that’s so low most lenders won’t extend new credit due to the risk involved. There’s no one credit score that all lenders use all the time for all of their lending decisions. Rather, there are countless scoring models and types of scores. What these scores have in common is that they’re all based on the information in your credit reports. Most people have three credit reports, which are compiled by the three major credit bureaus: Equifax, Experian, and TransUnion. Each of your reports contains information about how much credit you have and how responsibly (or not) you’ve used that credit. In essence, your credit score is simply a numerical representation of the information in the credit reports on which it is based. Scores exist so lenders, including card issuers, can get a quick snapshot of your credit without having to read your reports line by line. Scores enable lenders to automate the approval process for loans and cards since computers can understand numbers much easier than they can read written reports. A credit report with these types of activities produces a low credit score. The FICO score is the credit score that most lenders probably use most often. The company that invented this score, Fair Isaac, Corp., says 90% of top lenders use it to help them make billions of credit-related decisions each year. Different credit scores use different numerical ranges. Most FICO scores range from 300 to 850. A lower score equates to worse credit habits. The higher score equates to better credit habits. The majority of consumer scores are in the 600s and 700s. 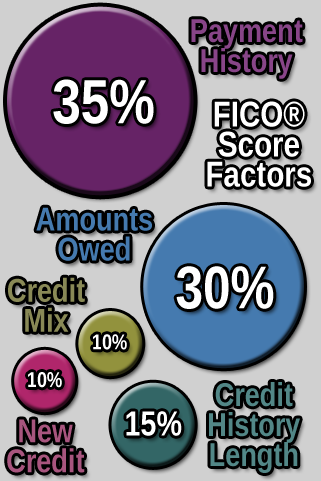 This FICO chart shows the distribution of FICO scores by percentage of population. A higher score doesn’t necessarily mean you’ll be a lender or credit card company’s best customer. It only means you’re more likely to be a good credit risk (i.e., you’ll repay your debts and make your payments on time). Whether your score is “good” or “bad” depends in part on the lender’s objectives. Some lenders prefer high-quality, i.e., “excellent,” credit customers whose very high scores make them less risky from the lender’s point of view. Other lenders cater to people who have “fair” or “poor” credit scores. Most major banks offer cards and other financial products to people in a range of credit categories. 2. What Causes Bad Credit? The primary cause of bad credit is not paying your bills on time — or at all. Creditors want to know you’ll repay your debts, so a history of late or missed payments is an instant sign of bad credit habits. Your credit score reflects this, as well, since your payment history is 35% of your FICO credit score. Even a single delinquent payment after years of responsible credit use can damage your scores, and a recent history or pattern of late or missed payments will drop your score by dozens of points. Serious credit problems, like a recent repossession, foreclosure, or bankruptcy can also depress your scores. Credit scoring algorithms are highly complex. Consequently, there are also other, more nuanced reasons why your score might drop. For instance, you may be using more of the credit you have available or you may have applied for multiple new credit lines or loans within a short period of time. Both of these activities can hurt your scores because they suggest that you may be experiencing financial difficulties and could have problems paying your bills on time in the future. Your recent credit behavior counts more in your scores than your older behavior. That means that if your credit is impaired, you can improve it by adopting better credit habits and building a better, more recent track record of using credit responsibly. Over time, your credit mistakes will drop off your report and stop depressing your scores. For most negative accounts, it takes seven years for an item to fall off your credit reports, though some bankruptcies can take longer. 3. How Can Credit Cards Help Rebuild Your Credit? The best way to improve your credit is to use various forms of credit responsibly to build a good credit history that will be reflected in your credit scores. Since credit cards are a form of credit, using them responsibly can help boost your scores. Then, set up automatic credit card payments through your bank account so that the card is paid in full shortly after the recurring charge hits your account so that you don’t miss any payments. Over time, you’ll build a positive payment history. 4. What Is Credit Utilization & How Does It Affect Your Credit Score? Credit utilization is a ratio that compares how much credit you’re using with how much credit you have available to use. Imagine that you have three credit cards with limits as show in the table below. If you charged $500 on Card A, your credit utilization ratio for that card would be $500 / $2,000 = .25 = 25%. However, scoring models also factor in your overall credit utilization, which would be the ratio of your total credit limits to your total credit card debt. A lower ratio means you’ve used less of the credit you have available. That’s a good credit habit that can help your scores. A higher ratio means you’ve used more of the credit you have available. That’s a poor credit habit that can hurt your scores. If you’ve been turned down for a loan or card due to “high credit usage,” your credit utilization ratio might be the problem. To fix it, pay off some of your revolving debt to improve your utilization rate. 5. How Long Does It Take To Rebuild Your Credit Scores? Bad credit can be rebuilt if you’re willing to adopt better credit habits. You don’t need an 800-plus score to get good credit offers. Even a modest improvement in your low or middling scores could pay off in better credit opportunities like lower rates and higher limits. 6. Do Credit Cards for Bad Credit Report to the Major Credit Bureaus? It’s a hard fact for consumers who are trying to rebuild their credit, but not all card companies report all their customers’ payments to all three of the major credit bureaus every month. Instead, reporting practices vary from one card company to the next. Most major banks report. Some very small banks or credit unions might not report. Among those that do report, the frequency and timing of their reporting may vary as well. One way to find out which of your cards are reported is to get copies of your reports and read them yourself. They’re not difficult to understand. You’re entitled by federal law to one free copy of each report annually. You can request your free reports at AnnualCreditReport.com. Keep in mind that card companies can change their practices so a card that’s currently reported might not be reported in the future and vice versa. Another option is to call your card issuers and ask whether your payments are reported, and if so, to which of the three bureaus and how often. Some companies post this information on their website as well. Since credit reporting is voluntary, the bureaus cannot force your card company to report your payments. You can ask, but your request isn’t likely to change your card company’s policy. You can’t self-report your payments. A card that’s not shown on your credit report won’t help you improve your credit scores. 7. What is a Secured Credit Card? A secured credit card is one that requires a cash deposit to secure any charges that you make with the card. 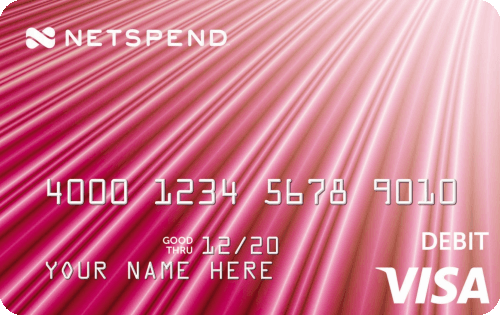 If you miss a payment, the card company can tap your deposit for that amount. The deposit might be equal to your credit limit or it might be a lower amount. Some cards allow a higher limit with a deposit of a few hundred dollars. Secured cards look just like any other card. No one but you will know you’re using a secured card to rebuild your credit unless you choose to share that information. Some secured cards can be converted into an unsecured card if you make your payments consistently over time. When you convert your card, your deposit should be returned to you in full. Some secured cards have an annual fee. Others don’t. Some come with a cash back or rewards program. Others don’t. Some charge higher annual percentage rates (APRs) and fees. But again, others don’t. In fact, some secured cards offer significantly lower APRs than unsecured cards. A secured card that reports your payments to at least one of the three major credit reporting bureaus can help you boost your credit scores if you make your payments on time. It’s smart to shop around, compare offers and read the fine print before you choose a secured card — or any card. 8. What Is an Unsecured Credit Card? An unsecured card is one that doesn’t require a cash deposit. You’ll typically need excellent, good or fair credit to qualify for this type of card. Unsecured cards for people with poor credit tend to have high APRs and fees to compensate the card company for the higher risk. 9. What Is a Subprime Credit Card? Subprime cards are typically marketed to people who have a poor credit history and low credit score. Consumers with limited credit history or a “thin” credit file may also turn to subprime credit cards to establish and build credit, though they may have other options (such as secured credit cards). Subprime cards tend to have higher APRs, higher fees, lower credit limits, and fewer perks than prime, or “regular,” cards. But not every subprime card suffers from all (or any) of these negatives. Some cards may be weak in one or more areas, but still a good value in other ways. A credit score below 600 will typically mean being stuck with a bad-credit subprime card. But there’s no one score that all card companies define as “subprime.” Rather, companies set their own standards for these cards. Some may have a higher cutoff, while others may accept lower scores. Subprime cards may sound less appealing than regular cards, but the subprime variety can help you establish a credit history or raise a low credit score. By charging small amounts each month and always making your minimum payment (but, ideally, more) on time, you can demonstrate responsible use of credit with a subprime card. 10. Do Secured Credit Card Issuers Check Your Credit Report? The short answer is some do and some don’t. It just depends on the card company’s practices and policies. Cards that are advertised as “no credit check required” are usually designed for people who have poor credit. 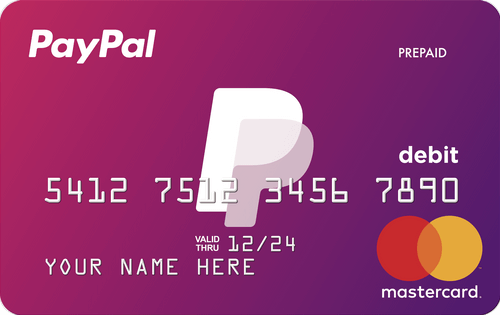 Instead of a hard credit check, the company may consider your income or employment history to decide whether to approve you for this type of card. Cards that are advertised as “no credit needed” are usually intended for people who don’t have a credit history. If you apply and your credit is poor, you may be declined. If your credit is so-so, a credit check could work in your favor. You may be approved and upgraded to an unsecured card or approved for a secured card with a higher limit, lower deposit, lower APRs, no annual fee, or better cash back or rewards program. 11. Do Secured Credit Cards Allow You to Make Cash Advances? Some secured cards will allow you to take a cash advance, but it will vary by card. You can check your cardholder agreement to see if your credit card allows cash advances. You’ll need to contact your issuer to establish a cash advance PIN for your credit card before you can use it for a cash advance. Once you have a PIN, you can typically obtain money at any qualifying ATM or by going to an eligible bank branch to speak with a teller. With the majority of credit cards, you’ll be charged a fee for this privilege. A fee of $10 or 3% of the cash amount, whichever is higher, is common, though some cards charge more or less than that. Cash advances are also typically charged a higher interest rate than other transactions, and cash advances don’t qualify for a grace period on interest. There are two ways to get cash with a secured card without paying a fee. 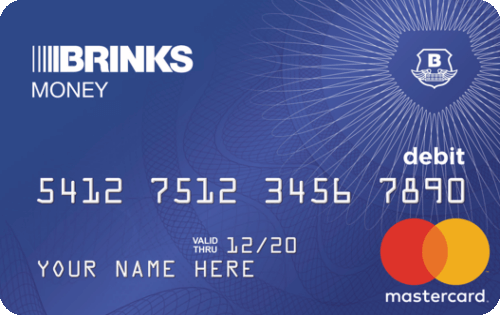 One way is to go with a card that doesn’t charge a cash advance in the first place; this will likely have to be a credit union card. The other way to get cash from your secured card is to recover your deposit. Unfortunately, the only two ways to do this is to graduate your account an unsecured card (if your card allows upgrades and you’re qualified to do so), or to pay off your balance and closing your account. Either way, your deposit should be refunded, giving you access to that cash. 12. 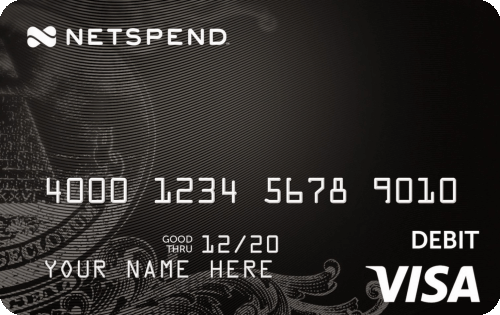 Are There Cards with No Annual Fee for People with Bad Credit? Most subprime cards charge an annual fee. The vast majority of cards for bad credit without an annual fee are secured cards or cards from credit unions. If you’re willing to pay an annual fee for a subprime card, look for one that gives you an offsetting benefit, such as lower APRs, lower other fees, a cash back or rewards program, or a higher credit limit. 13. Can You Get a Rewards or Cash Back Credit Card with Bad Credit? Yes, you can. But keep in mind that a subprime card with a cash back or rewards program may also come with higher APRs, higher fees or both. 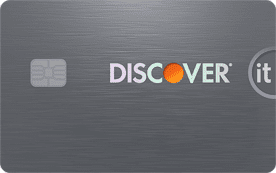 Read the disclosures before you decide whether the cash back or rewards program is a good tradeoff for the other terms the card offers. 14. What Is a Debt-to-Income Ratio & How Does It Impact Your Credit Card Limit? Your debt-to-income ratio (DTI) compares your monthly income to your monthly minimum debt payments. Similarly, your monthly debt payments include any payments you are obligated to make each month. This includes things like rent or mortgage payments, car loan payments, student loan payments, court-ordered alimony or child support, minimum credit card payments, or any other regular payments. Calculating DTI can be complicated, and card issuers don’t all compute it the same way. But, you can get a general idea with a little bit of basic arithmetic, as in the example below. A lower DTI means your debt obligations probably aren’t burdensome relative to your income. A higher DTI means you may have more debt than you can manage. The more you increase your income and lower your monthly minimum debt payment obligations, the lower — and healthier — your DTI will be. Your DTI isn’t used to calculate your credit score, but card companies do consider it when you apply for a new card. If it’s too high, you could be turned down or offered a card with higher fees and less-attractive features. If you’re denied credit because your DTI is too high, you should try to increase your income, pay off some of your debt, or both. 15. Can You Transfer a Balance to a Subprime or Secured Credit Card? Some subprime or secured cards will allow you to transfer a balance from another card if your limit is high enough to cover the amount you wish to transfer and all applicable fees. Nearly all subprime cards will charge a balance transfer fee, which typically range from 3% to 5% of the total transferred amount. Make sure the interest rate savings is worth the cost of the balance transfer fee. 16. How Does a Secured Card Differ from a Prepaid Card or Debit Card? The principal difference between a secured credit card and a prepaid card or debit card is that the secured card is a form of credit — a type of loan — while the prepaid and debit cards are not forms of credit. This difference is important because of those three options, only the secured card can be reported to the three major credit reporting bureaus, which means it is the only one that will appear on your credit report and affect your credit score. Because prepaid cards and debit cards are not forms of credit, they will never be reported to the bureaus, never appear on your credit report, and never affect your credit score. If your goal is to improve your score, a secured card could help or hurt. A prepaid card or debit card will have no impact up or down. 17. Do You Need a Bank Account to Open Subprime Credit Cards? The vast majority of credit cards, even those for bad credit, will require a checking account to qualify for approval. That’s because most credit cards can only be paid through a bank transfer or by check, and both methods will require a bank account to complete. That being said, you don’t need an expensive checking account to get a credit card. Many credit unions and online banks provide free and low-cost checking and savings accounts that can be obtained regardless of your credit score. 18. Do Credit Cards for Bad Credit Charge Foreign Transaction Fees? Many credit cards charge foreign transaction fees when you make a purchase in a currency other than U.S. dollars, including many subprime credit cards. If you don’t travel outside the United States, foreign transaction fees may not matter to you. However, if they do matter, the only way to avoid them is with a card that doesn’t charge the fees at all. Yet another reason to shop around, read the disclosures, and compare cards before you decide to apply for a card that you like. The information on this page was reviewed for accuracy on December 5, 2018 .